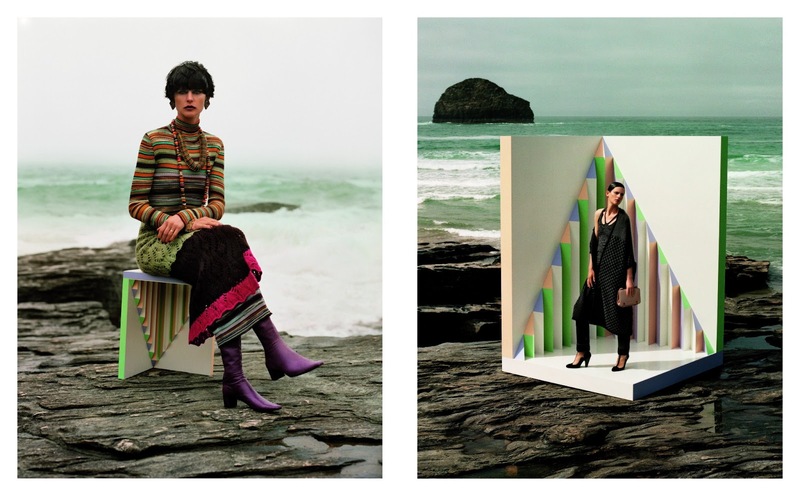 It’s good to see big houses back the older girls especially when they’re looking better than ever – Kate Moss at Versace, Naomi walking at Versace Couture and now Stella Tennant as the face of Missoni. And, like the older catwalk and editorial models, Missoni remains as relevant and edgy in its 60th year. 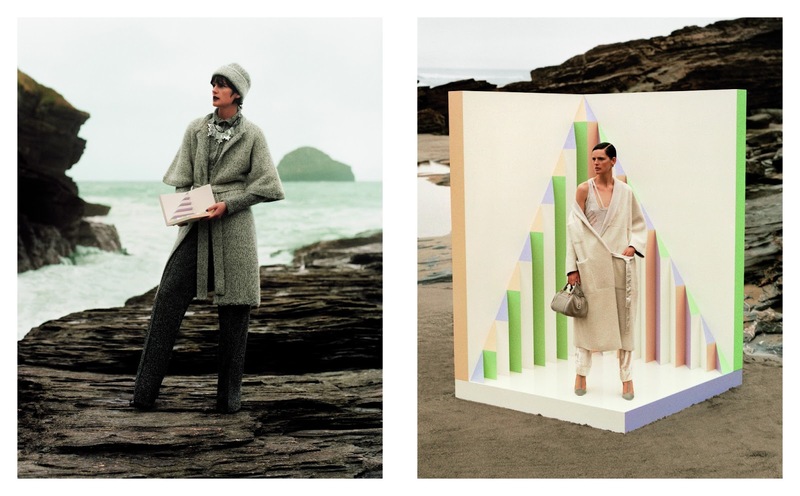 The new A/W’13 campaign used Britain as a backdrop, on location on the rocky and deserted coasts of Cornwall that projects an almost lunar dimension, a sci-fi space-age feel. 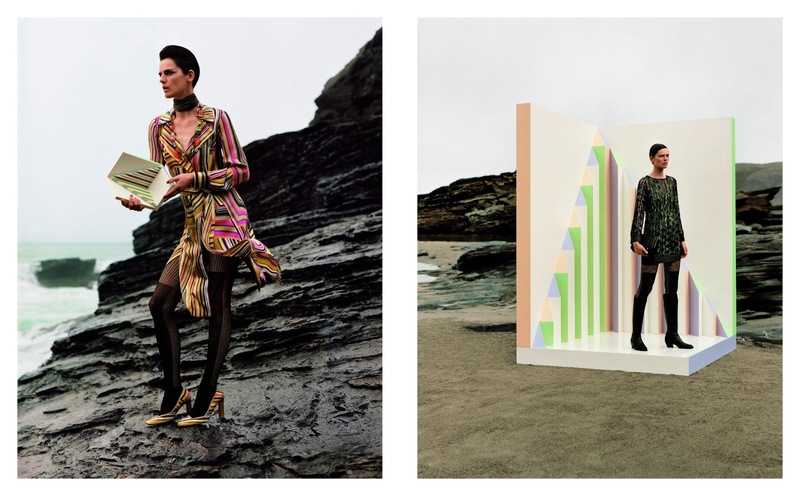 Cool and unique Stella wears Missoni’s historic pieces, standing tall in this natural setting. But the scale of the images changes, so at times she appears miniaturised and more distant, like a creature arriving from the future. The landscape reflects the nature of the collection; At times cocooning against the cold and on the other side, confrontational in their attitude – metallic jacquards, smooth leather, silk jerseys and technical incision with their degrade inflections in big colours. Cubist in feel, to reflect Missoni’s natural design aesthetics, the landscape takes on an almost eerie artistic vibe. 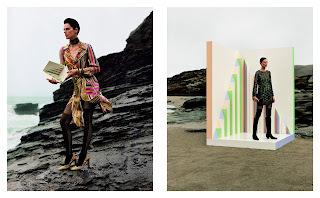 Paul Sculfor poses for Missoni A/W’13 men.